Zhe Li, a graduate student in chemical and biological engineering, has recently been named a recipient of the 2018 Materials Research Society (MRS) Graduate Student Award at the Gold level. Selection for this award is “highly competitive and receiving a gold or silver award is certainly one that you can reflect upon with pride for many years to come,” said a release statement. 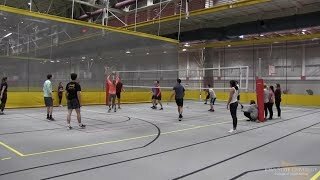 Li is among fellow graduate students of Massachusetts Institute of Technology, Stanford University and Harvard University to win the Gold award. Previous winners of this award have moved on to highly distinguished careers, as well as leadership positions in the Materials Research Society. In his work with two-dimensional transition metal carbides (MXene) supported platinum catalysts, Li discovered reactive metal support interactions (RMSI) between platinum and MXene. “For the first time, by simply reducing the noble metal precursor with the two-dimensional carbide supports, we are now able to prepare supported intermetallic compound (IMC) catalysts via metal support interactions (MSIs),” Li said. 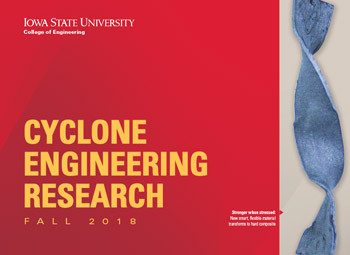 Li worked with associate professor of chemical and biological engineering Yue Wu to conduct this research at Iowa State, supported in part by Wu’s Herbert L. Stiles Professorship in Chemical Engineering, as well as Iowa State’s College Explorative Research Program. Li also received the Teaching Excellence Award in the Department of Chemical and Biological Engineering in 2017 for his work engaging students in research experiences. 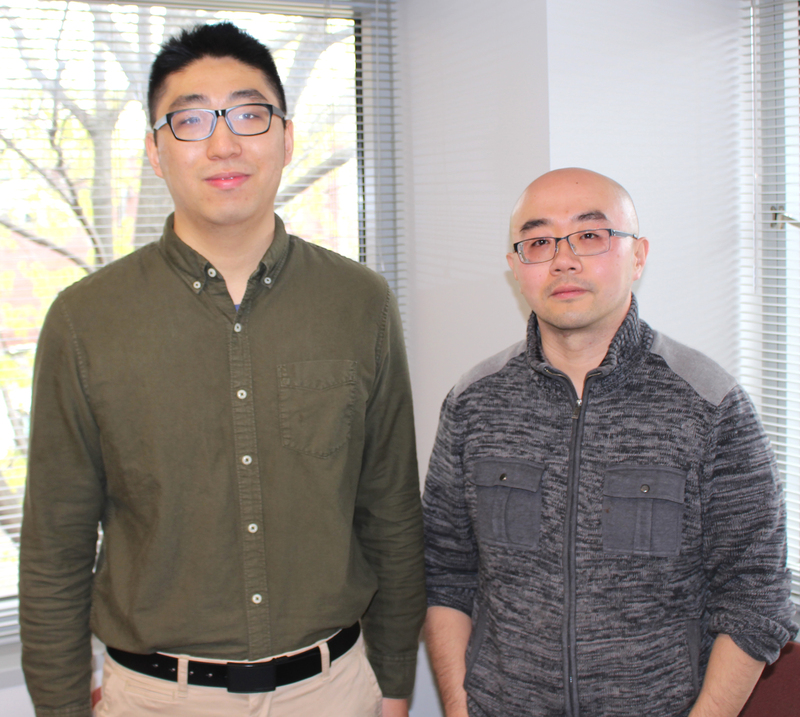 Zhe Li (left) and Yue Wu (right) worked on research that dealt with two-dimensional transition metal carbides. Li was awarded the Materials Research Society (MRS) Gold Graduate Award.